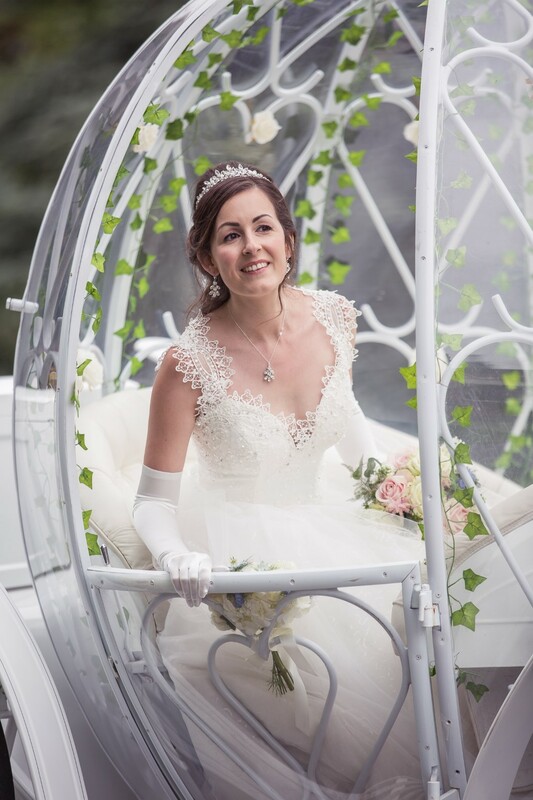 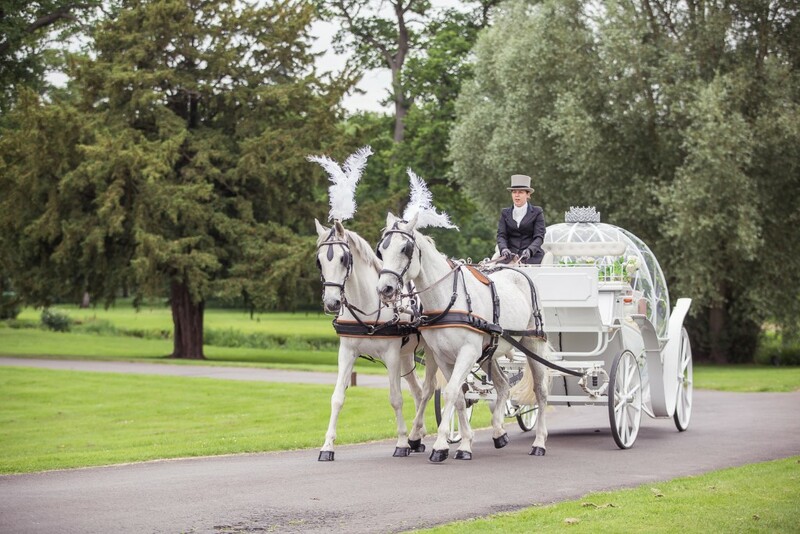 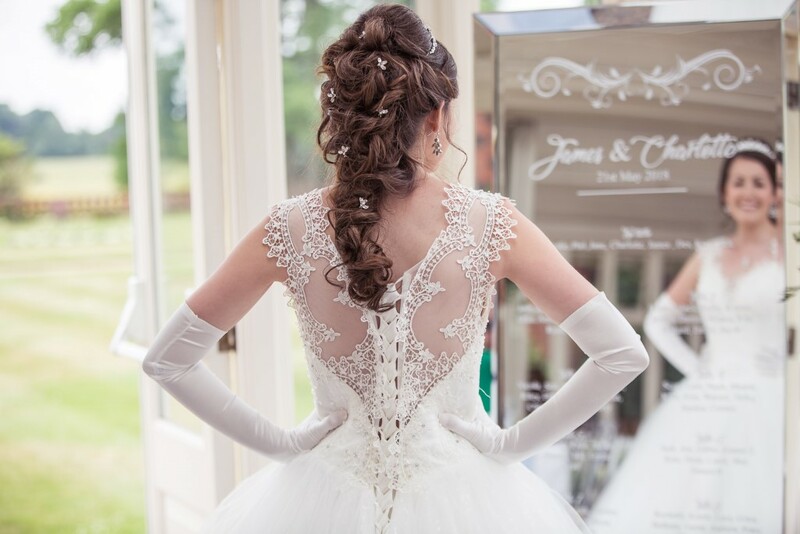 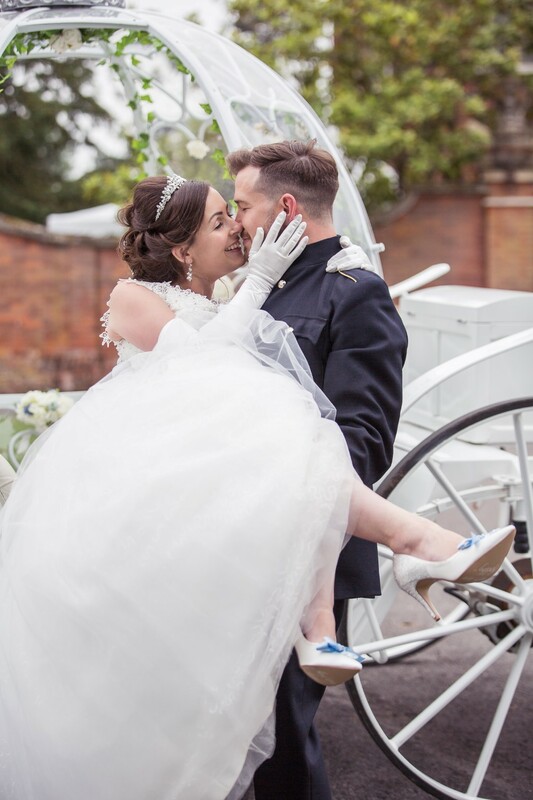 Today I am excited to share this fairytale Cinderella inspired wedding styled shoot at The Elvetham. 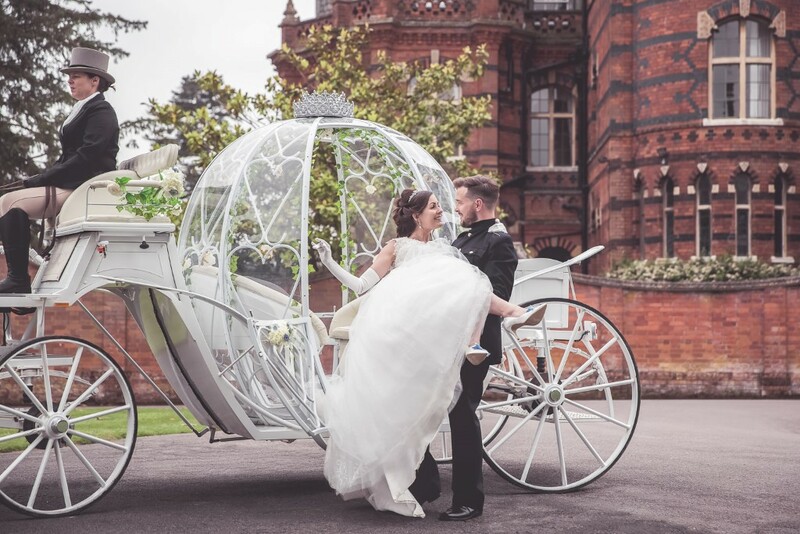 The subtle inclusion of the Disney theme gives the hint of our heroine marrying her handsome prince without it overwhelming the styling. 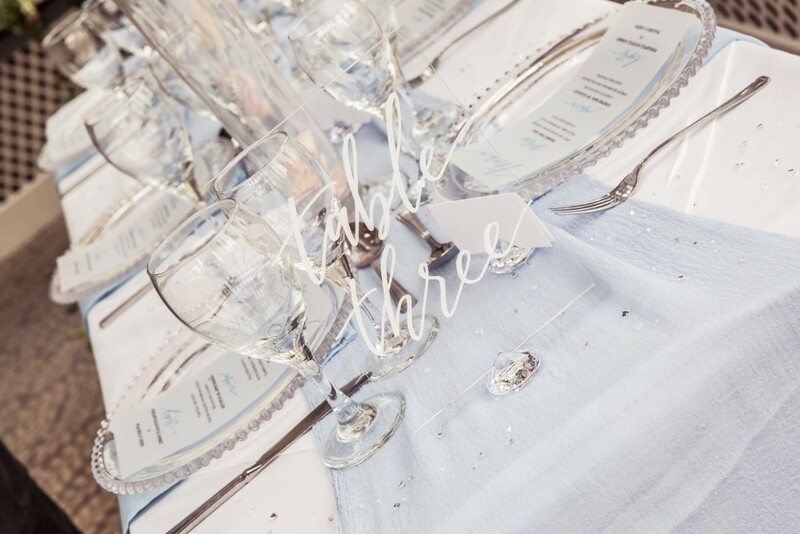 Images were captured by Katie Mortimore with styling by Bespoke Events & Hire. 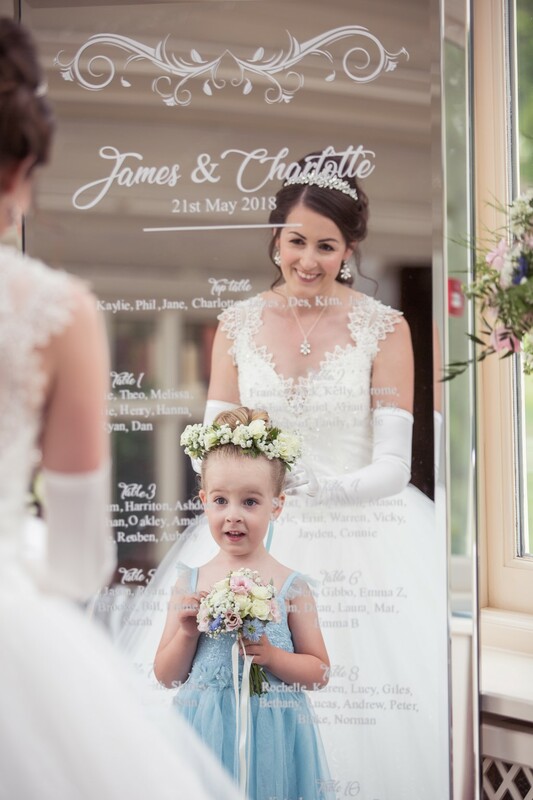 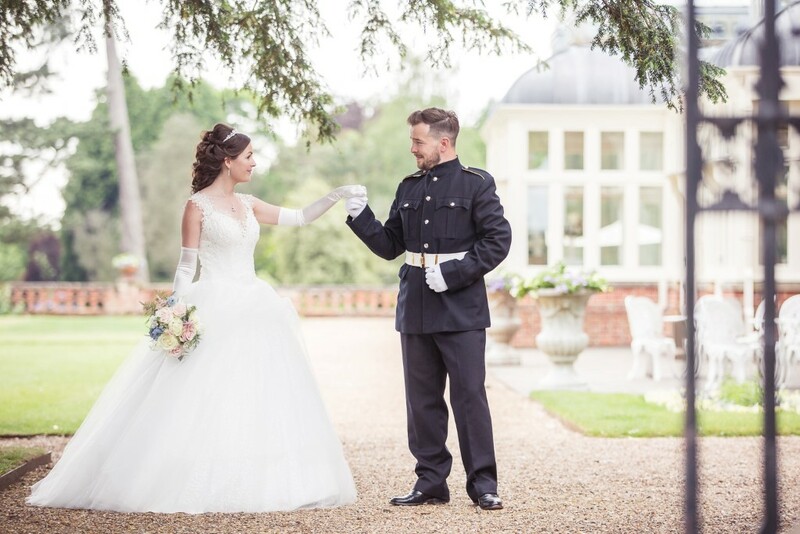 The beautiful Elvetham hotel based just outside Hartley Wintney in Hampshire, was the location for a fairytale Cinderella inspired wedding styled shoot this summer. 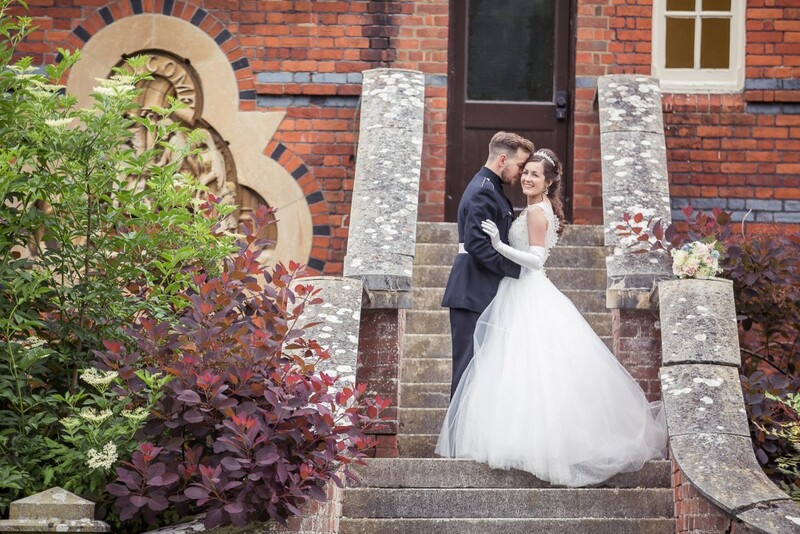 The 19th century venue boasts stunning architecture in addition to 35 acres of manicured gardens. 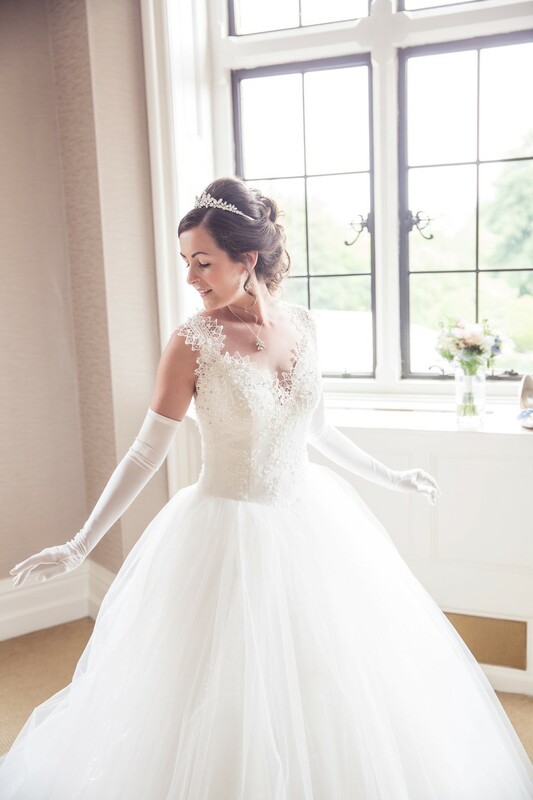 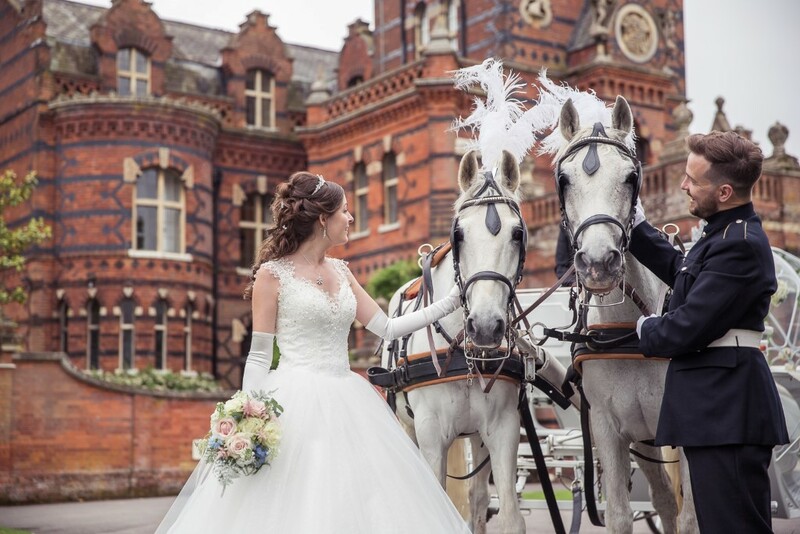 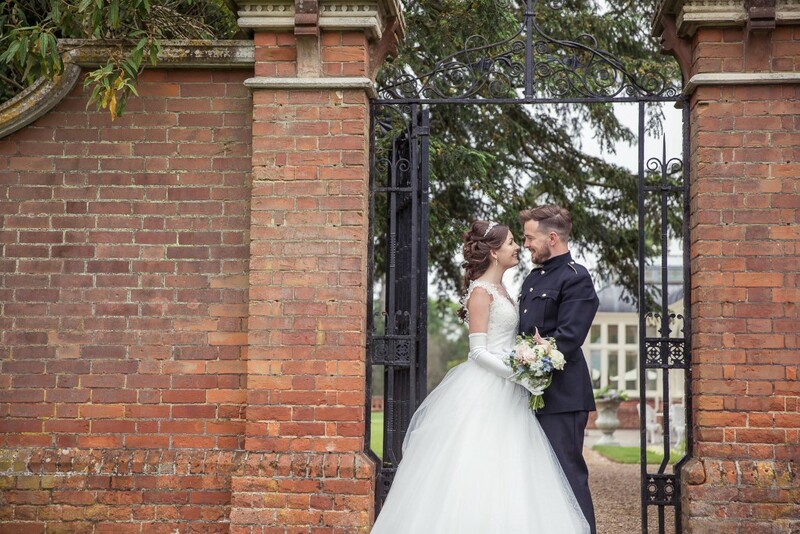 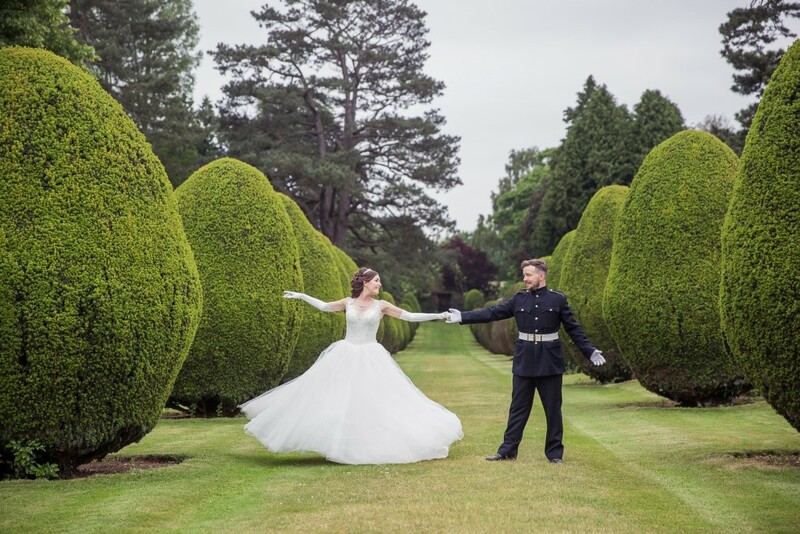 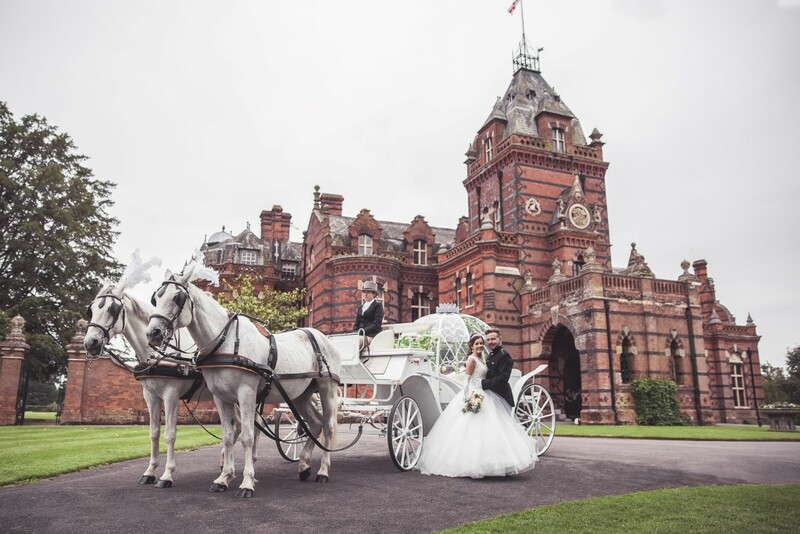 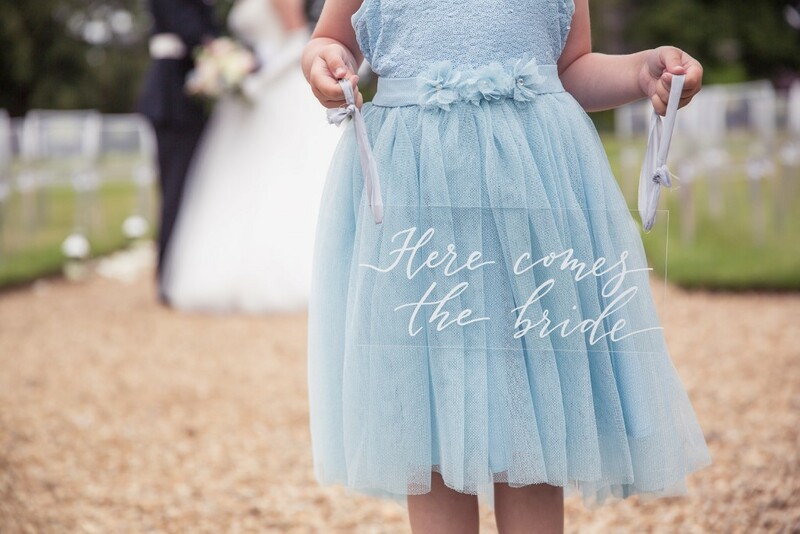 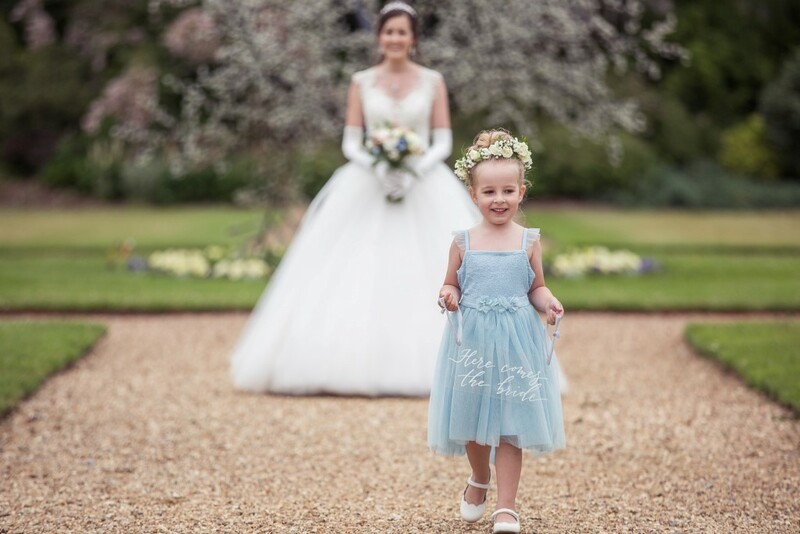 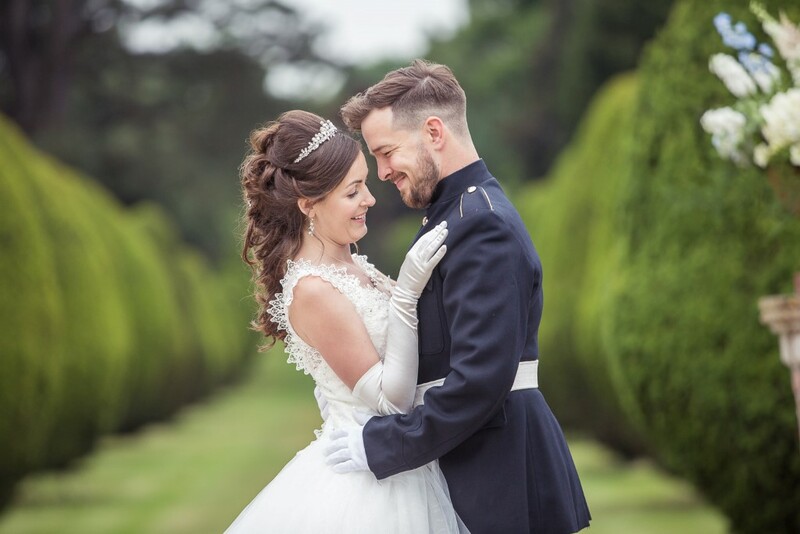 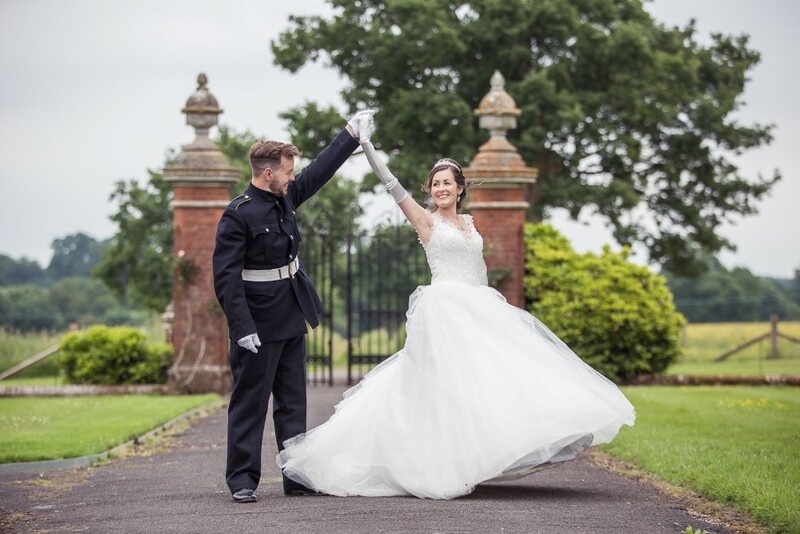 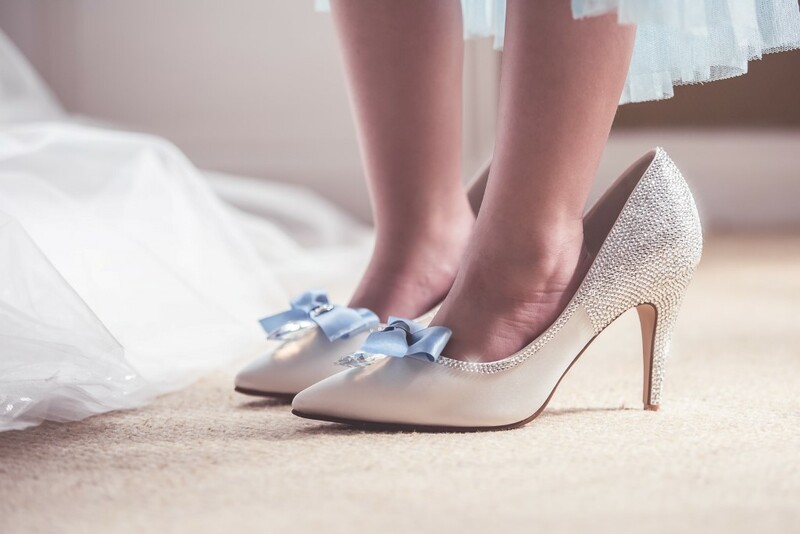 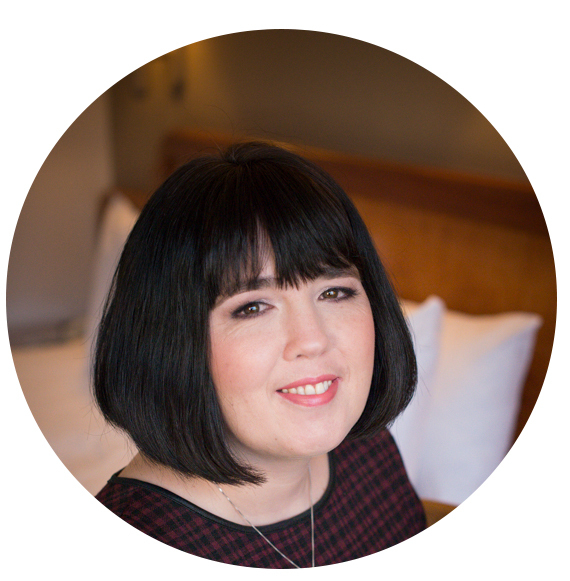 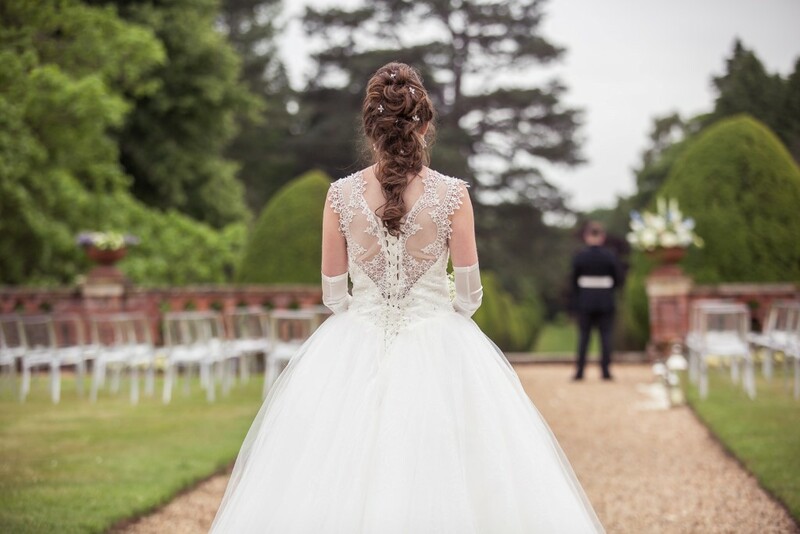 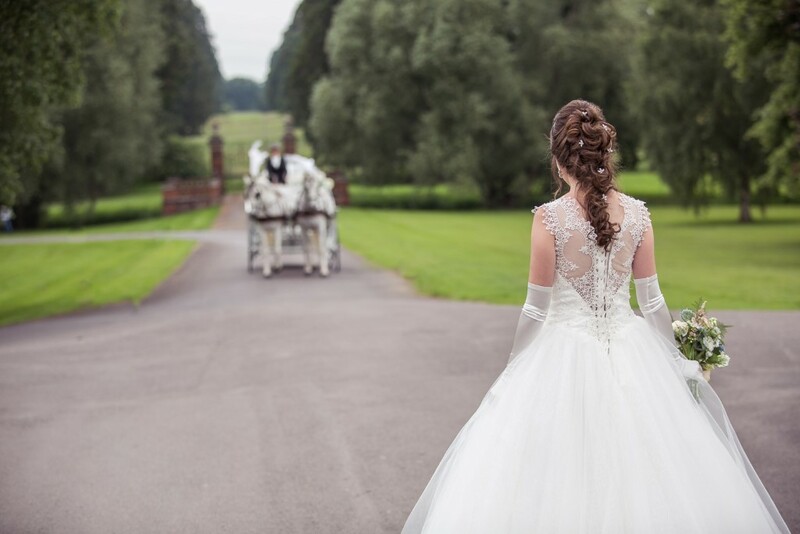 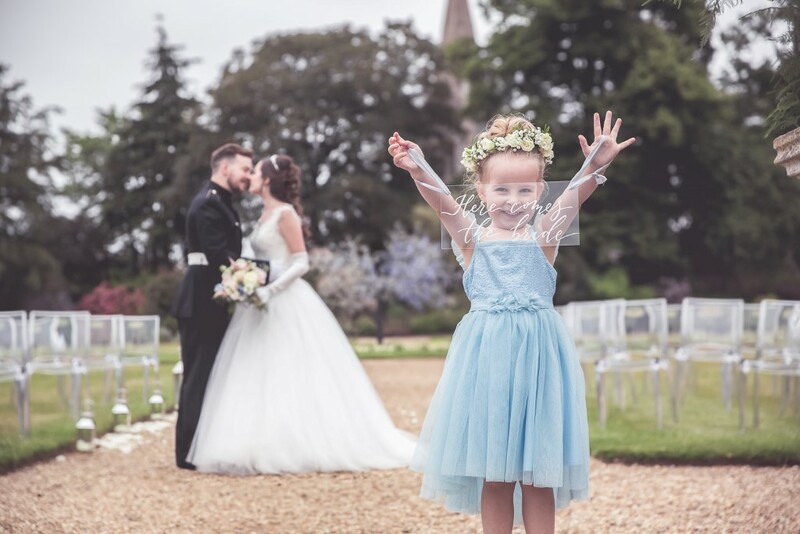 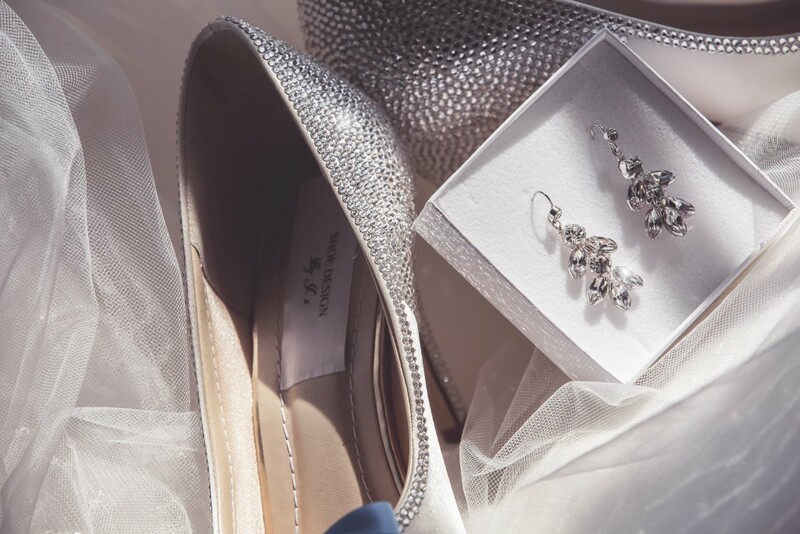 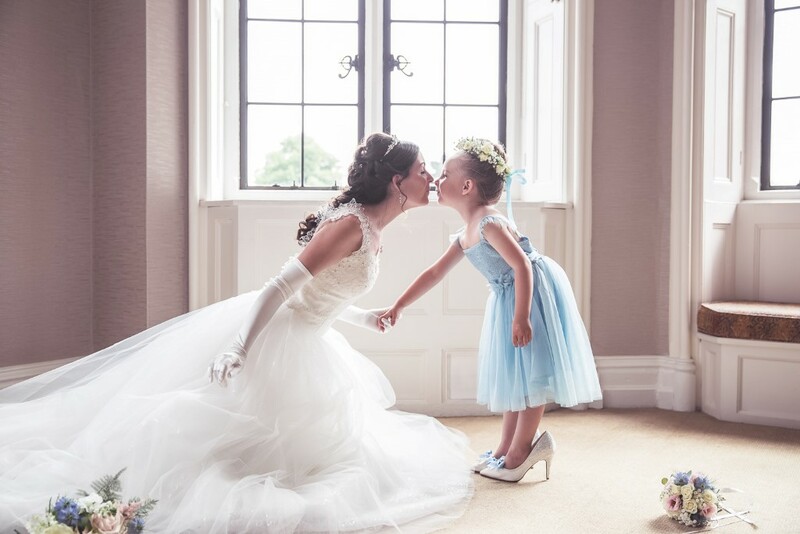 Being based near the military town and Army Royal Military Academy of Sandhurst, was the perfect inspiration for Heidi of Bespoke Events & Hire to plan a Cinderella and Military influenced photo shoot. 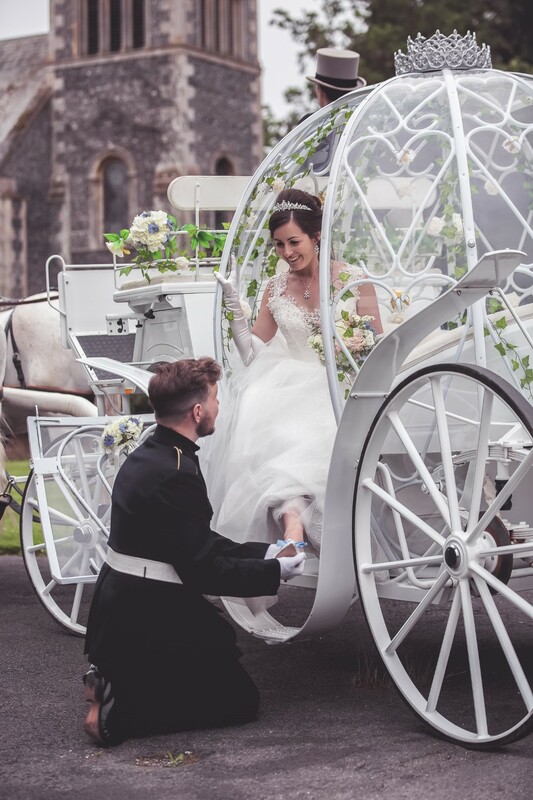 Move over Harry and Meghan, this shoot, where every aspect was considered in detail, created a fairytale dream wedding, accessible to the far more modest budget! 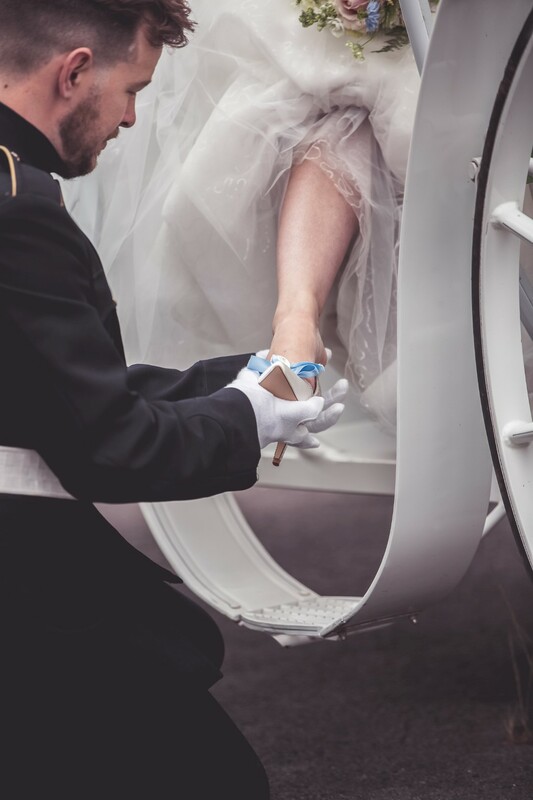 When we say every detail was considered, if you think of an aspect of the ball and wedding in Cinderella it was probably included. 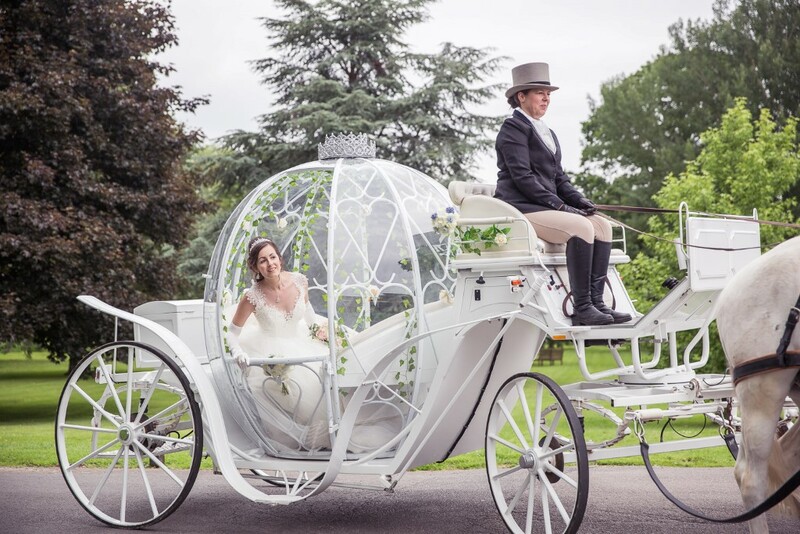 The trademark pumpkin coach, pulled by two white horses, provided by Cleveland Carriage Company, the exquisite tiara, and of course the shoes! 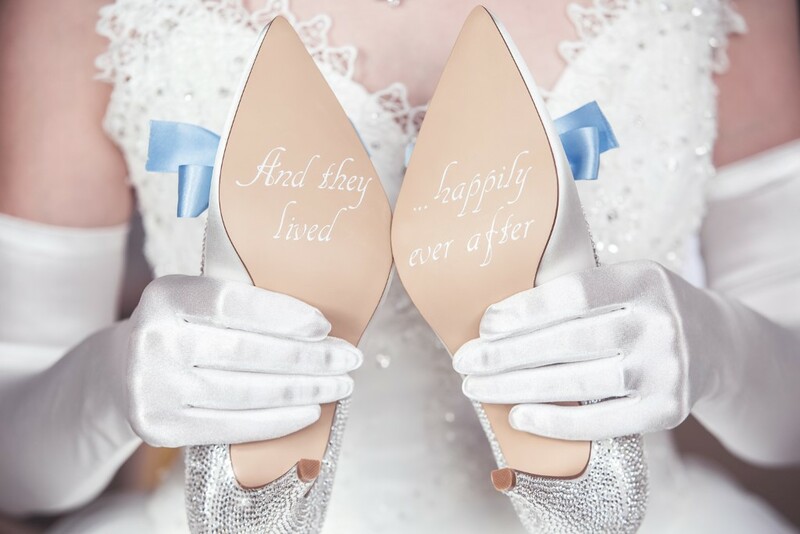 They were admittedly not glass, but instead were a glittering masterpiece, they had over six thousand individually hand applied Swarovski crystals, created by Bespoke Designs by J. 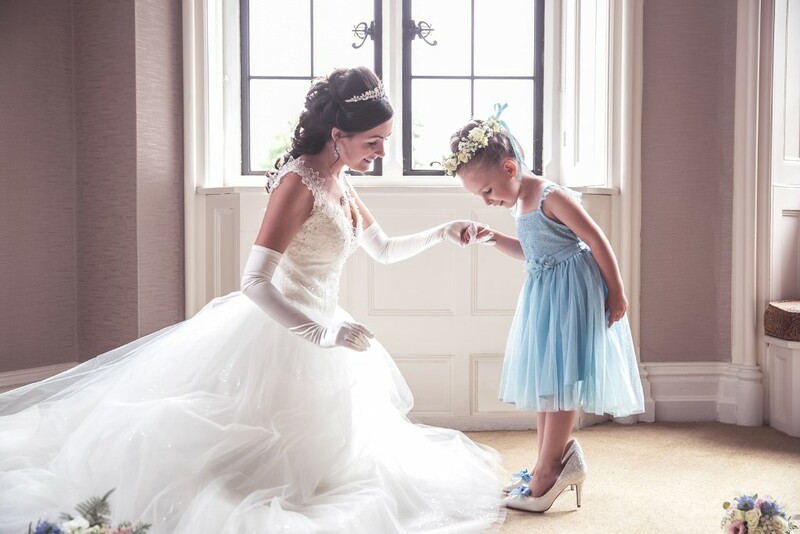 A particularly touching moment I was able to capture on camera, was Connie, Danielle & Stephen’s daughter, trying on the shoes in front of her mum. 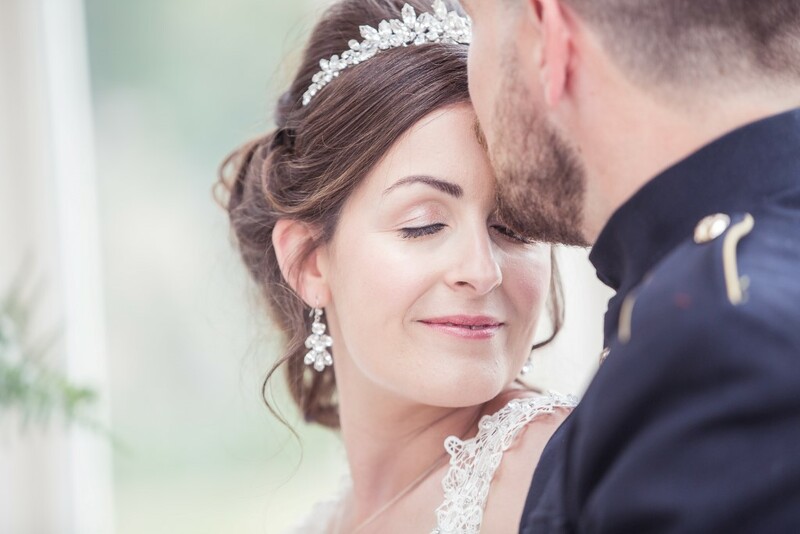 It’s moments like these I love to capture on a wedding day, and although this was a styled shoot it still allowed for some precious candid moments. 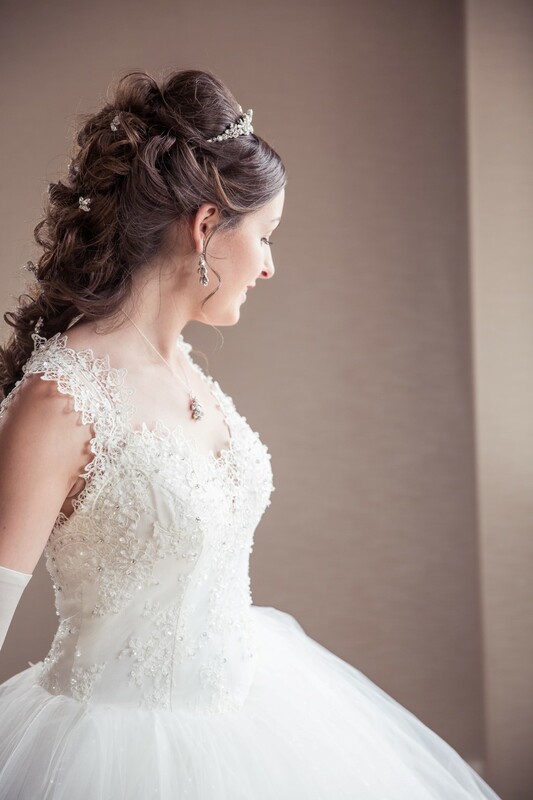 The main element of Danielle’s look was a beautiful princess gown by designer Adele Laurent. 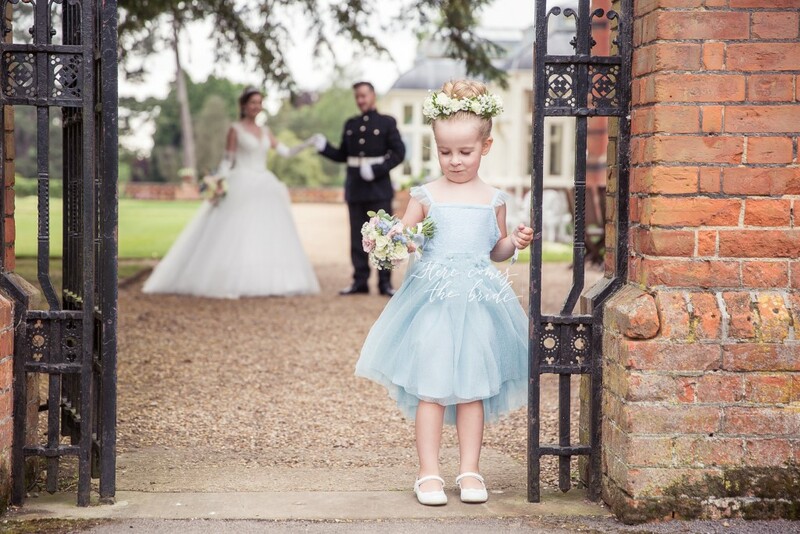 Although previous season this dress (Anna) is still available from selected boutiques. 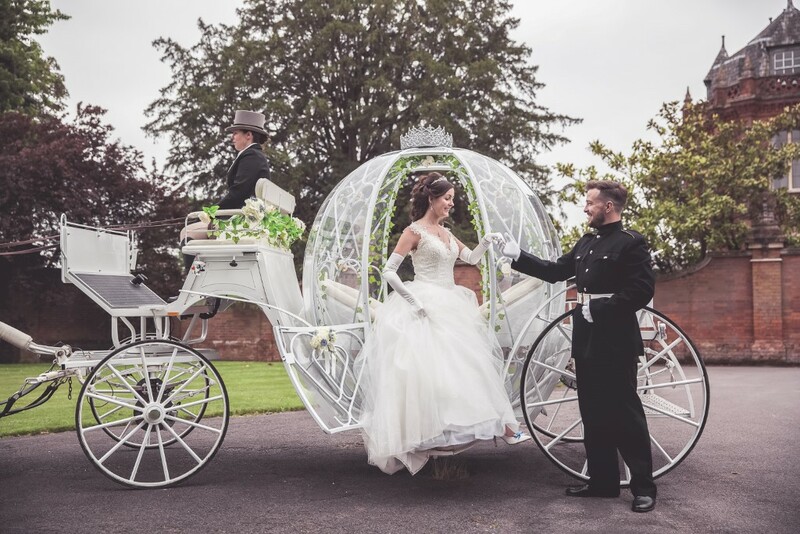 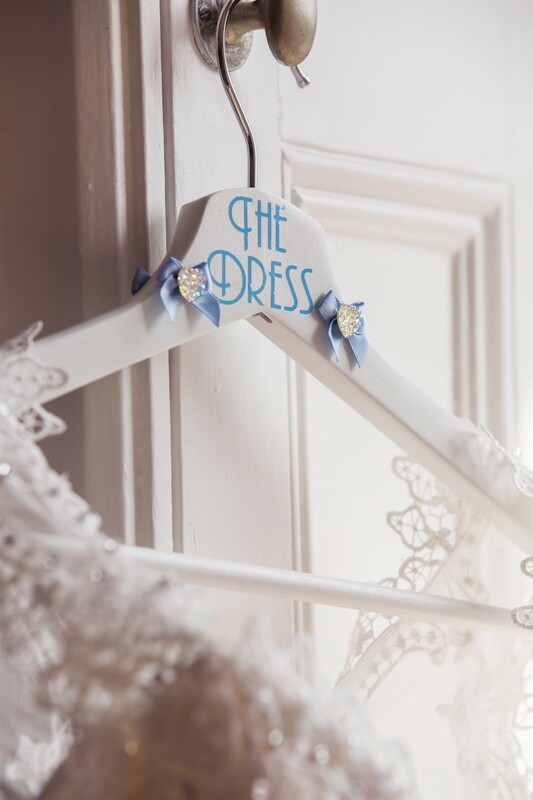 A large hoop was utilised to optimum effect to create the trademark Cinderella silhouette. 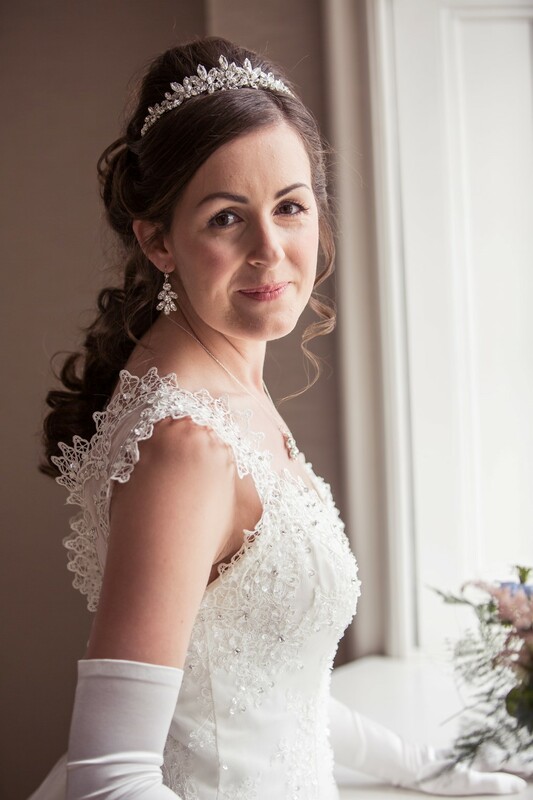 Victoria Oke Makeup created a light, natural look for Danielle’s makeup, to complement the dress and the messy girl next door plaited hair style by Your Event Stylist. 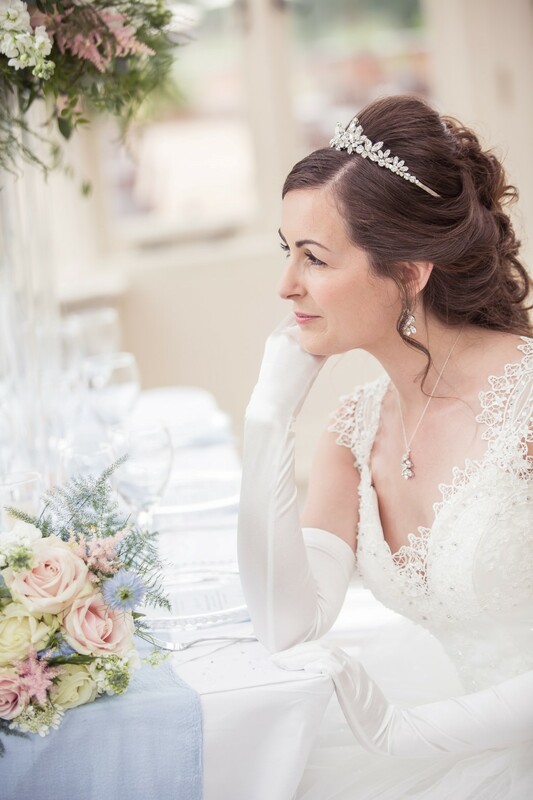 A tiara, was essential to complete the fairytale look, along with hair pins, and matching necklace and earrings, all hand made by Southampton based White Designs. 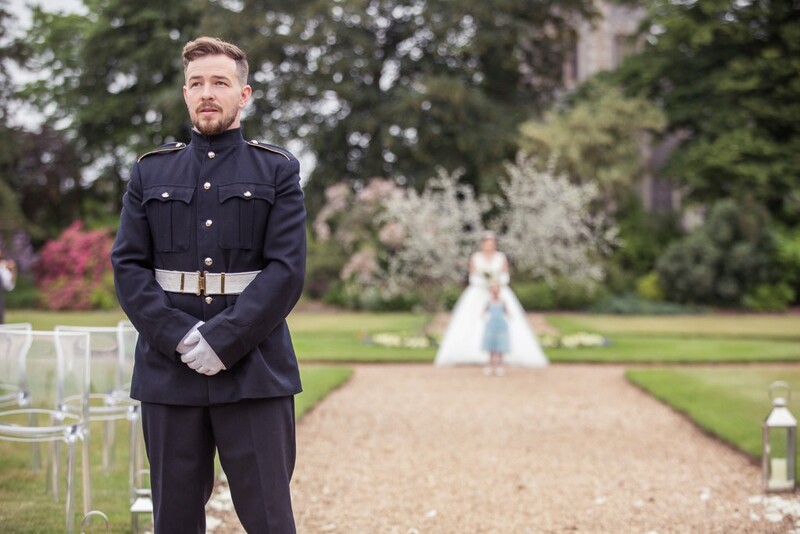 Stephen, our Groom was dressed in traditional military number ones, the outfit serving military personnel on their wedding day. 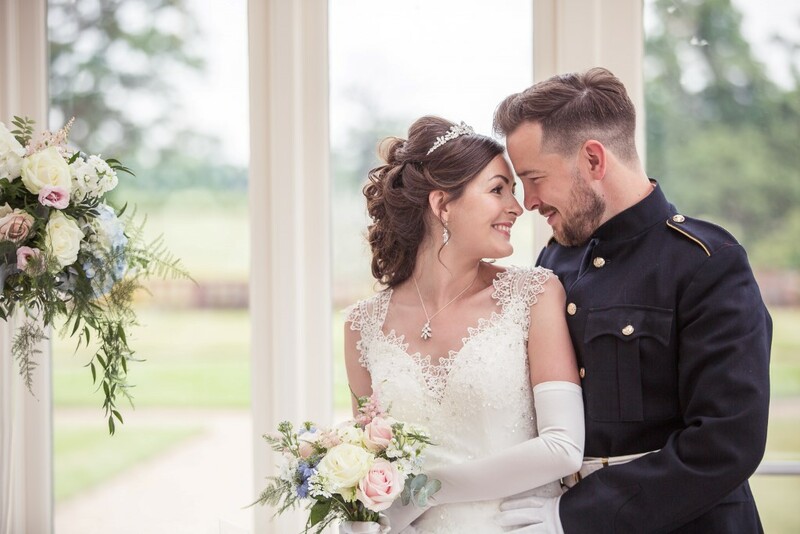 The exact attire is dependant on the regiment with various variations including golden tassels and adornments, and would include rank slides and medals. 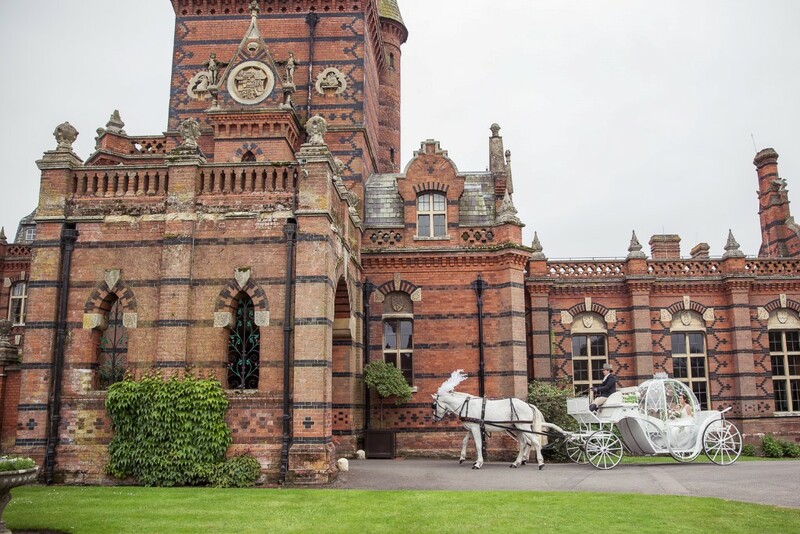 An outside blessing was set up within the walled garden leading out from the conservatory. 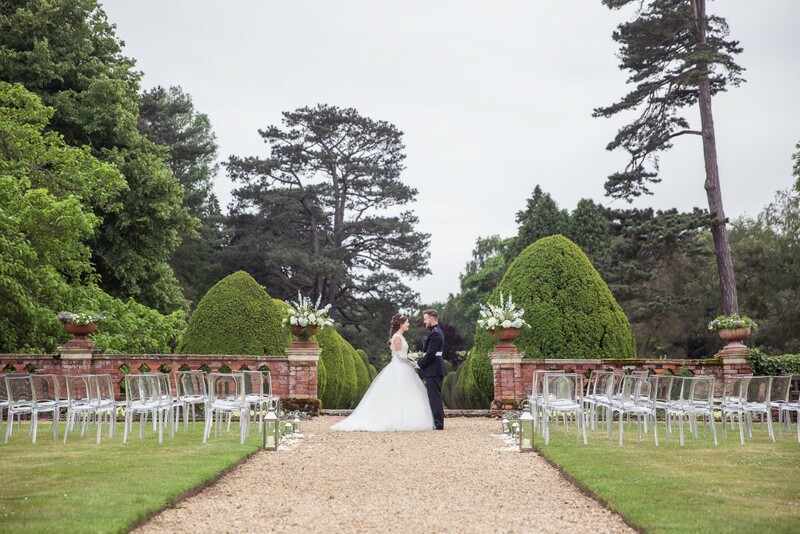 Elegant ghost chairs formed an amphitheatre for guests, either side of the permanent gravel aisle. 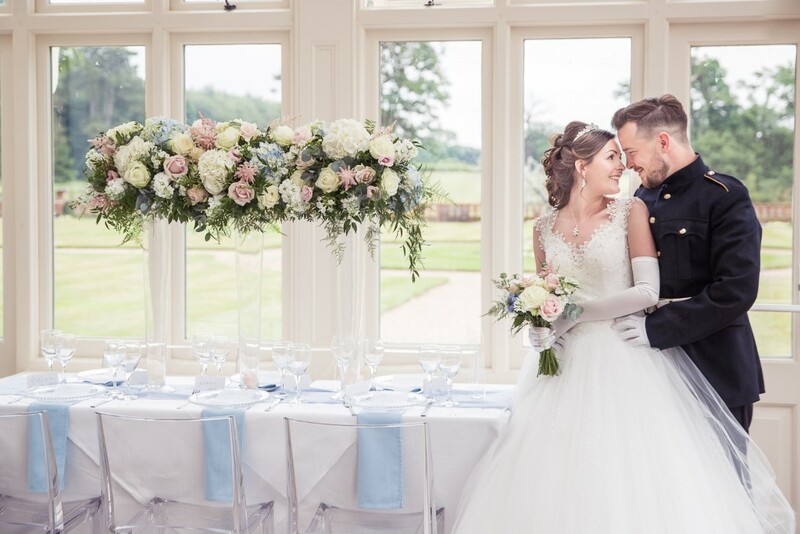 Florist, Flowers by Becky, enhanced the permanent wall urns with creams, pale blue and pink hues, creating a striking but classic feel with delicate contrasts. 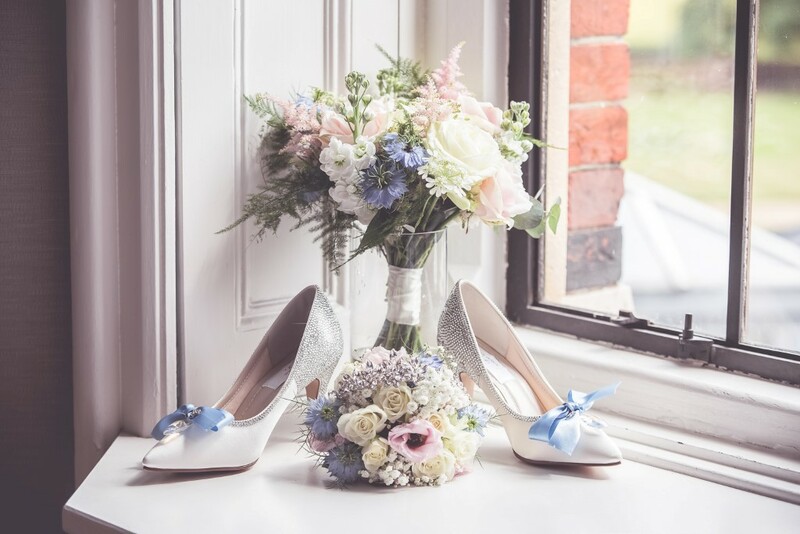 The arrangements created by Becky continued across the brides bouquet, flower girl’s head piece and on to the table arrangements. 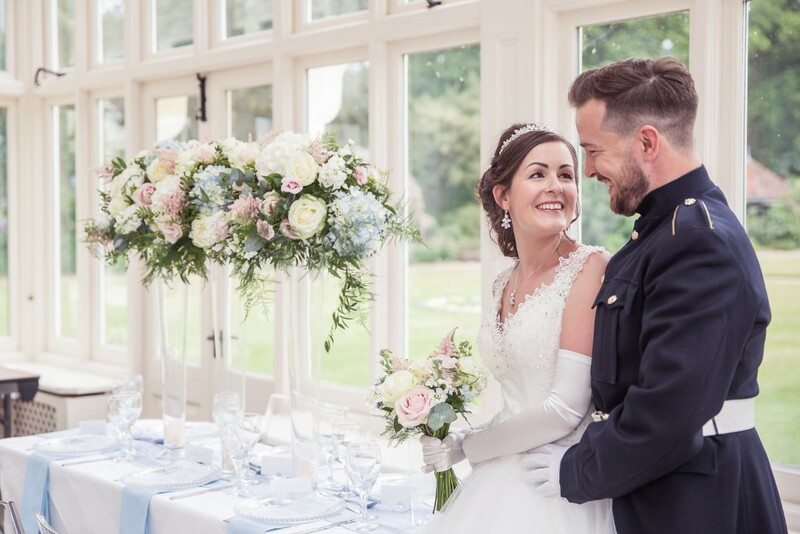 The table set up in the conservatory included tall ghost vases, which allow the use of striking arrangements without blocking the view across the table, perfect to allow guests to appreciate the beauty whilst carrying on conversations uninterrupted. 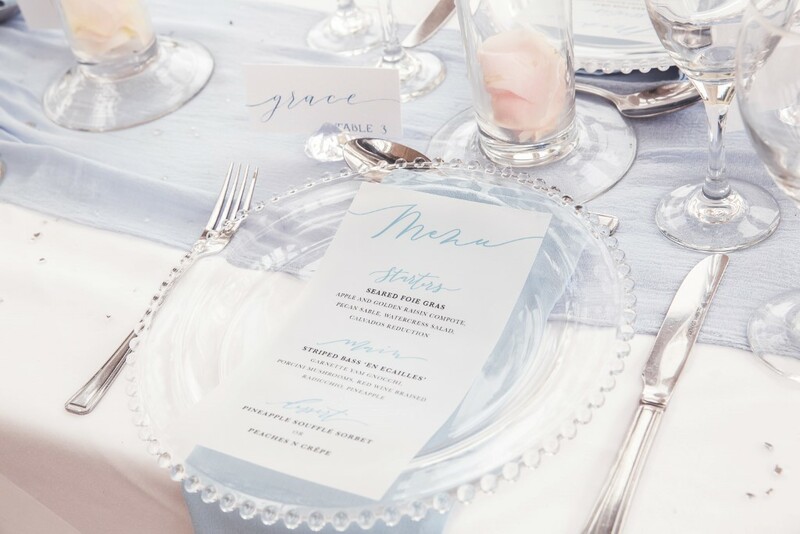 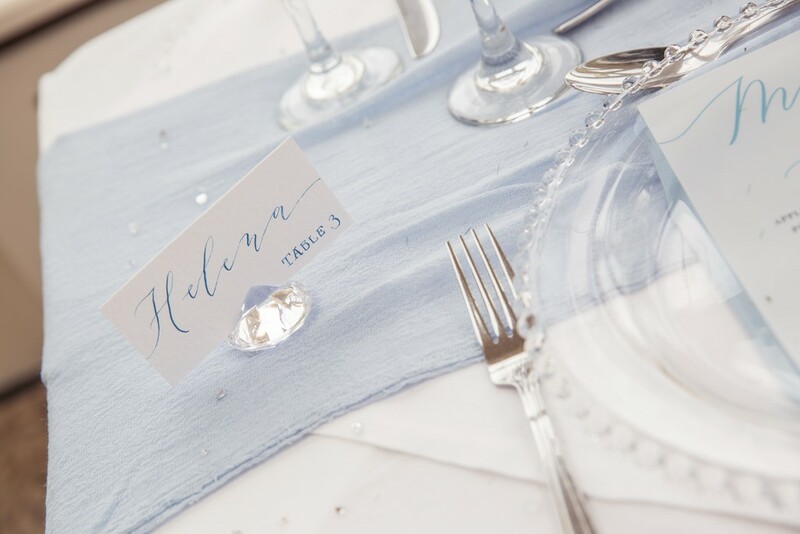 The stationery from Scritto, matched the colours of the flowers and napkins, and with a script font included across the stationery, mirror table plan and acrylic signs, it produced a co-ordinated theme throughout. 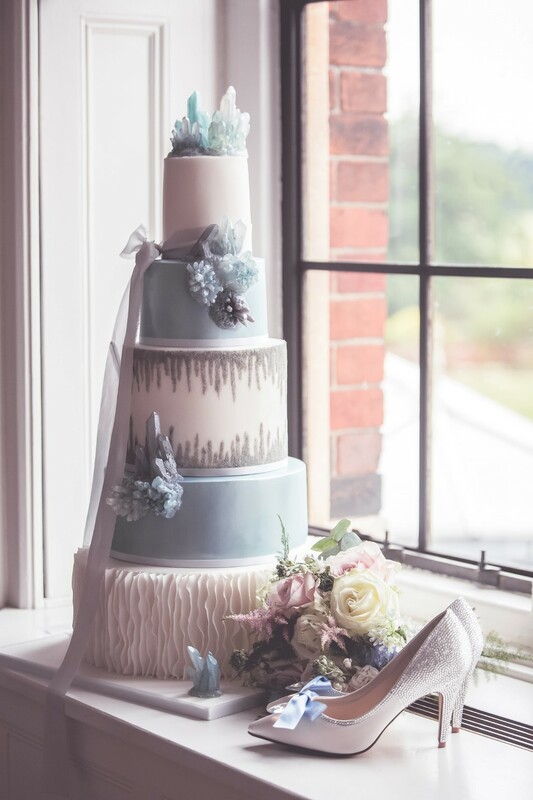 Finally it can’t go without mention, the five tier masterpiece of a cake, created by CakeBuds, really was a sight to behold. 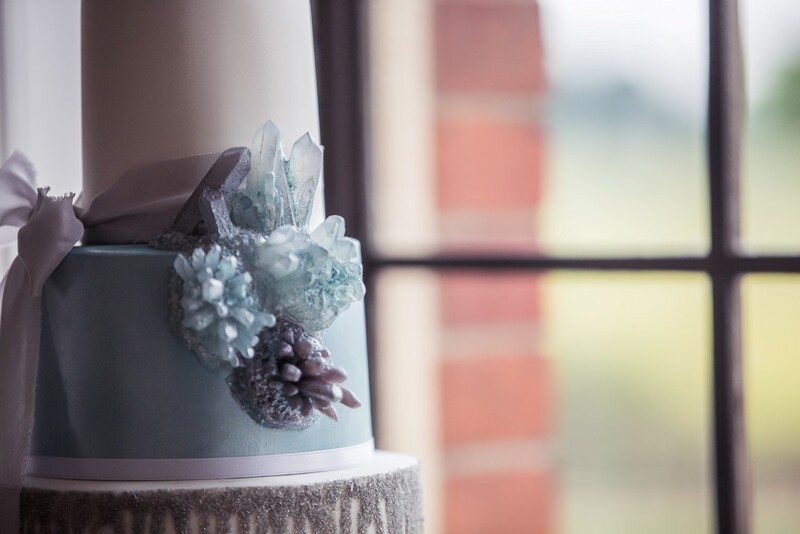 Each tier was individually decorated with a range of complimentary techniques including ruffles and isomalt geode crystals. 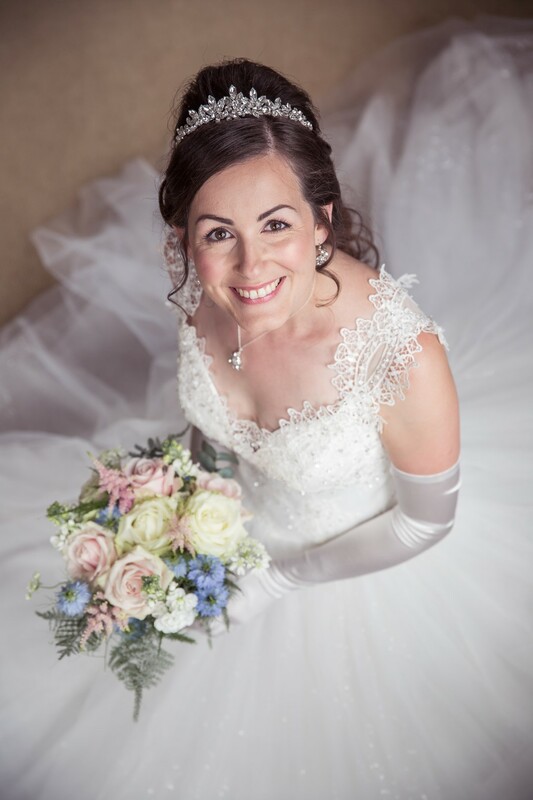 It was a privilege and joy to work with such a wonderful team of suppliers. 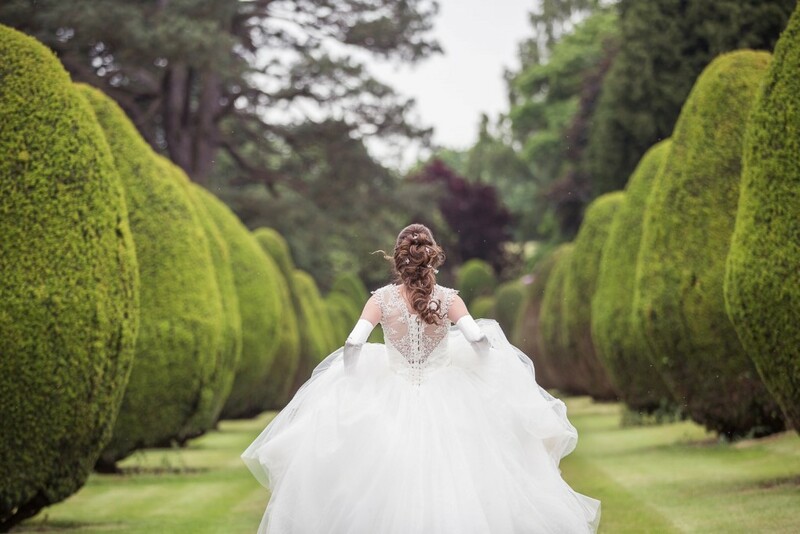 Each and every one were key in creating the final images and their creativity and talent is truly some of the best within the county. 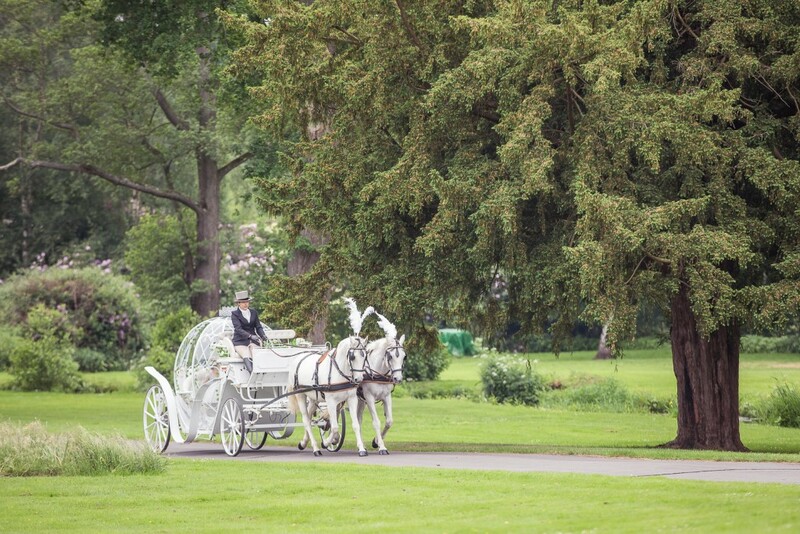 Throughout the day I worked alongside Tom of Aerial Visual Services. 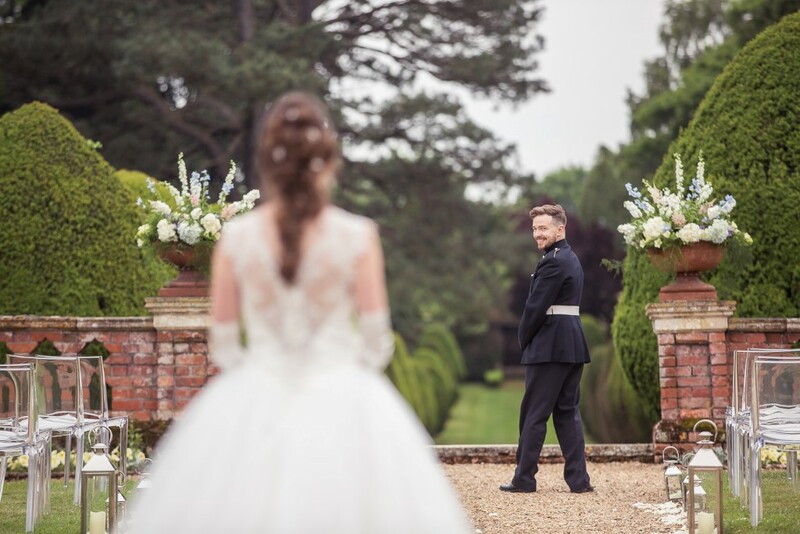 In addition to being an excellent camera man, he is also a CAA certified drone operator, and importantly for me a total pleasure to work with allowing both of us to capture the footage and images we needed.